Michael Bruce Rush, age 62, of Greensboro, GA formerly of McDonough, GA, passed away Friday, November 23, 2018 at his residence with his loved ones. He was born July 18, 1956 in Charlotte, NC the son of the late Robert Thomas Rush, Sr. and Patricia June Reid Rush. On March 4, 1994 he married the former April Palmer. They made their home in McDonough, GA and three years ago relocated to Greensboro, GA. At the time of his death he was the Vice President of Partner Solutions & Services at Descartes Systems Group, a multinational technology company specializing in logistics software. Michael was a member of the Chi Phi Fraternity and the Lake Oconee Elk’s Club. 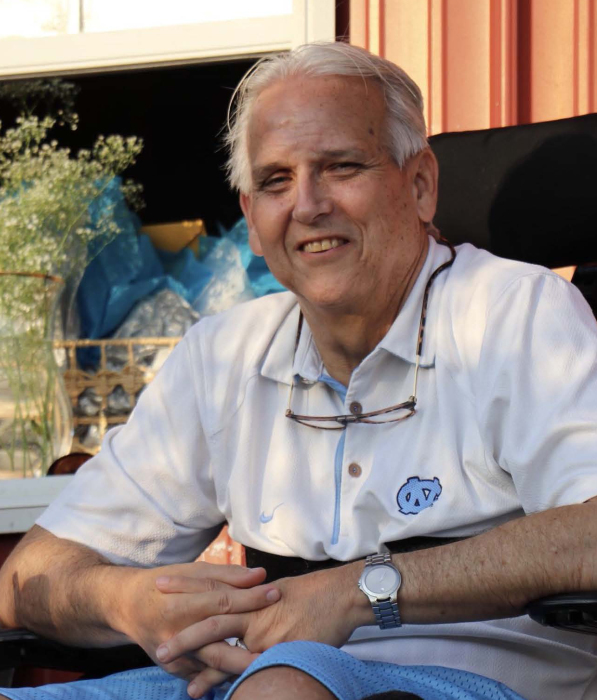 He took a great deal of pride in the North Carolina Tarheels and enjoyed watching all sports, especially golf, NASCAR, football, and baseball. Michael is survived by his wife April Palmer Rush of Greensboro, GA; children, Christopher Rush of Greenville, SC, Amber Burdette and husband Brandon of Greenville, SC, Spencer Rush of Dunwoody, GA and Brett Parker of San Antonio, TX; grandchildren, Austin Cummings, Brilynn Burdette and Mia Burdette; siblings Vicki Beaver and her husband Hal, Tom Rush and his wife Tracy, and David Rush and his wife Lisa; other relatives and many friends. Memorial Services will be held Tuesday, November 27, 2018 at 2:00 p.m. at McCommons Chapel, 109 W. Broad Street, Greensboro, GA with Reverend Dan McKay officiating. The family will receive friends Tuesday at the funeral home from 1:00 p.m. until time for the service. The family requests that in lieu of flowers, memorials be made to St. Jude’s Children’s Hospital, P. O. Box 1000, Dept. 142, Memphis, TN 38148. McCommons Funeral Home, 109 W. Broad St., Greensboro, GA, (706) 453-2626, is in charge of arrangements. Visit us at www.mccommonsfuneralhome.com to sign the online guest register.